Congratulations with finishing the Global Game Jam 2019! We hope you had a blast! All the games that were made worldwide are posted on the official Global Game Jam website. Do you want to show off your game even more? Then join the Dutch Game Garden Network Lunch! Here you can showcase your game to fellow developers, get some feedback, and of course eat a delicious sandwich or two. The lunch takes place on February 6, 12:00-14:00, on the 5th floor of the Beatrix Building, Jaarbeursplein 6, Utrecht. It’s completely free, but please sign up. In case you’re interested to develop your game to a commercial release, Dutch Game Garden has a special Incubation program for you. You can try it out on the 6th of February by attending Q&A’s at 11:00-12:00 or at 14:00-15:00. Contact Dutch Game Garden if you are interested and want to know more! Global Game Jam begins today! Good luck everyone! We are already excited to see which awesome games you will create. Leeuwarden & Enschede are full! Registration for Leeuwarden and Saxion Enschede are closed which means there are also no waiting lists. Global Game Jam is only a couple of days away! Don’t miss your chance and register. There are still spots left at 4 locations: Breda, Groningen, Rotterdam, and Zwolle. There are no more spots for Amstel Campus in Amsterdam. You can still register for the waiting list. But if you want to secure your spot, check out other available locations here. We opened a waiting list. However, it doesn’t guarantee you will get a spot! Check out other locations here. See a more detailed overview here. Some locations run out of spots very quick! Make sure to sign up for your preferred one in time. For worldwide announcements, news and other information you can visit the official website. Follow updates and messages of excitement about the GGJNL here and on Facebook & Twitter (#GGJNL and #GGJ19). Global Game Jam NL 2019 – Registration opens next week! On the 29th of November at 12:00 pm registration form will go online! The world’s largest game jam is happening again from 25th to 27th of January. There are several locations throughout The Netherlands that will host the Global Game Jam NL 2019. Check our location page for an overview of GGJNL locations! Show your GGJ game at the Dutch Game Garden Network Lunch! 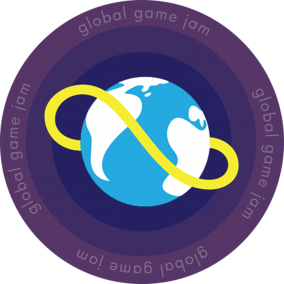 We hope you had a blast this weekend joining the Global Game Jam! 824 people joined the GGJNL locations in 2018. All the games that were made are posted on the official Global Game Jam website. We’re curious which games were made at the Dutch locations, so we’d like to invite you to showcase your GGJ game at the Dutch Game Garden Network Lunch! The lunch takes place on March 7, 12:00-14:00, on the 5th floor of the Beatrix Building, Jaarbeursplein 6, Utrecht. It’s completely free, but please sign up. In case you’re interested to develop your game to a commercial release, Dutch Game Garden has a special program for you: our Incubation Try-Out Day. This also takes place on March 7. During the day, you will join experienced game developers and get a taste of where to start to make your game into a commercial product. Global Game Jam 2018 has begun! Before the start of Global Game Jam 2019, the offical diversifiers will be announced on the official Global Game Jam website. Diversifiers are additional (optional) starting points for your game jam games. They can help you choose interesting directions and add an extra challenge. Some of the diversifiers for last year’s edition included making a bird your protagonist, create a game played with one single well timed tap or click, make all in-game sounds by using your voice or body, make a game that uses retro controllers and making a game using only a made-up language.